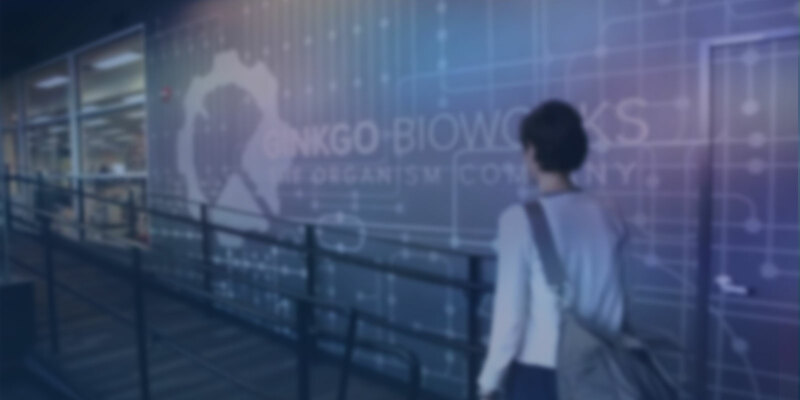 Ginkgo Bioworks was founded with the mission to make biology easier to engineer. Engineering biology isn't easy. It is frustratingly, painfully difficult. It's programming without a debugger, manufacturing without CAD, and construction without cranes. At Ginkgo we are building a team that can build debuggers, write CAD, and operate cranes. We are looking for the best engineers, scientists, and hackers. See open positions here. The trust Ginkgo places in its employees allows us to to pursue what we think is right and take risks. Having the freedom to structure how I execute a project, select the right tools for the job, and see the impact of a project is an amazing feeling. I’ve been at Ginkgo for over 5 years and the best part is it still doesn’t feel like 'work.' Party on, Ginkgo!! I'm continually inspired by my colleagues' dedication to excellence in the work that we do; their kindness and care make it easy to work together on challenging projects. Quirky, productive, passionate people and fascinating, fast-paced, scalable biology? The glass is twice as big at Ginkgo and I’m hooked. The Design team is made up of synthetic biologists, systems biologists, protein engineers, and computational biologists building the infrastructure for designing DNA megabases at a time. From modeling tools to enzyme expression systems, Design enables organism engineers to explore the vast possibilities of biological design space. Build brings DNA designs to life. Automating each step of the genetic engineering process, the Build pipeline is made up of molecular biologists, genome engineers, next-gen sequencing experts, automation engineers, and software developers that are designing and building the foundry tools enabling the rapid construction of engineered organisms. Test turns engineered cells into insights for future design. Using mass spectrometry for metabolic and proteomic profiling of prototype strains, Test generates hundreds of gigabytes of data per month. Analytic chemists, systems biologists, computational biologists, and software engineers work together to develop new assays and analyze data for maximum insight. The fermentation team brews with designer microbes. Fermentation engineers design and develop new processes for scaling up microbial manufacturing, from automated, small-scale bioreactors to full scale commercialization. The DNA synthesis team operates the BIOFAB platform to manufacture gene- and pathway-length DNA sequences used by Ginkgo organism engineers. Organism engineers design microbes. Using foundry tools to accelerate their design cycle, organism engineers build enzyme pathways, design experiments, and engineer the strains that get the job done. Process development turns beer into perfume (among other things). Process engineers design and manage the commercial scale manufacturing and downstream processing necessary to produce and purify cultured ingredients and other products. Working to commercialize biological design, the business development team works closely with our customers to identify needs and build strong partnerships across a wide range of industries. The software team builds the software that designs DNA, runs the foundry and analyzes biological data. The team includes computer scientists, computational biologists, bioinformaticians and software developers. The automation team deals with everything robotic. They oversee and maintain the foundries’ robots, design and integrate new systems into the pipeline, and guide the company’s human-machine interactions. One year, paid internships across the foundry and product teams offer students a chance to learn more about organism engineering during or after completing their degree. Positions are open across all teams and all levels, from engineering (automation, build, chemical, fermentation, genome, metabolic, microbial, process, protein, software, test) to business development, operations, and HR. Browse openings and apply today!